Ruhi said that she had some work. They saw the van and asked driver to stop the car. Driver asked them they would not get a cab to return as it was not safe there. They agreed and stopped there only. Raman got the cab details from the cabbie. Raman told Shagun that he was going to pick up Ruhi and Pihu. Mihir scolded Aaliya as he thought she was responsible for her accident. He asked her to accompany him as they would go to police station. He calmed down as she realized her mistake. They saw Vandu and Balla coming. They were upset but did not talk to them. Pihu showed van to Ruhi and said that there was the sack in which she saw Ishita mom’s saree pallu. Goons saw them and asked who they were. Ruhi informed her father as she did not find the place safe enough. Goons called their boss to inform. Vandu asked Balla as why he took the blame on him. He said that he love her a lot and could not see her in trouble. He said he was responsible as he pulled her leg and that was the reason why she got angry and accident happened. Goons told their boss about the two girls looking for Ishita. Other one said that they would kill her and run as she might create problem for them. Raman came there and asked Ruhi and Pihu if they were fine and scolded Ruhi for taking Pihu to such an unsafe place. 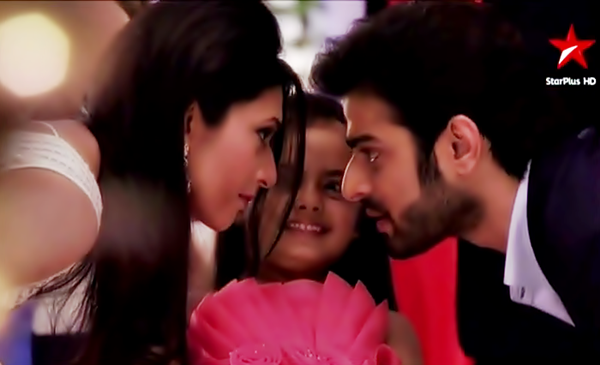 Pihu protected Ruhi and said she lied for Ishita and then told Raman everything she had seen. there. Raman got to know that she was kidnapped. They went back home and told everyone. Simmi said Nidhi had done that. She asked to go to her and confront her. Shagun suggested that they should try to take help from Ashok. And they could not inform the police as it might harm Ishita’s life. Alia told Mani. Mihir tried Mani to stop meeting Nidhi. He asked him to be calm. Mihir told them that they had hired a detective. Stay tuned to reporter times for more updates on Yeh Hai Mohabatein.